He has an collage projected up on the wall, pictures of pilots, 8 across and 8 down. “What’s that rogues gallery for?” Scotty looked up at the display and tried to remember if he had met any of them before, a few looked familiar. “CSM Election. 64 candidates passed the first hurdle of basic literacy and the ability to follow simple written instructions. Now I have to narrow it down . . . a LOT.” Mike answered, still staring at the board. “Sounds efficient but how do you do group eliminations without being . . . well, too heavy handed?” Scotty squinted at some of the photos SURE he knew the faces. Mike looked down at one hand and smiled. “Perhaps, but if we are gonna get through dis ting, we needs da ‘eavy ‘and.” He fiddled with his comma little and faces on the grid began to dim. “Those with a strong backing of the null alliances do not need your average hisec pubbie to foul the purity of their vote. Either they have the support of those who fly with them or they don’t. Iffen they don’t then there is likely a reason for that and I should not vote for them then, either. Now this is not to say that there are not some damn fine folks in there, incumbents, for example and I hope that their own damn people will be stepping up to the plate for them. But I won’t.” Mike tapped the comm and more faces faded. “Tactics of the election process itself. the STV voting process is a bit complex but it does allow you to have a more direct second and third choice. So these 4 are on my ballot for sure. “Old boy network in play?” Scotty asked, skeptically. Mike wiped his face with his hand. “I know, I know. Now hear is where some of the darks get lit again. The last CSM was good, damn good. If they had drama they kept it quiet which is down right amazing. So I have . .
“Not running but still deep in the process?” Scotty asked softly. Main thing? I plan to vote. I don’t care if none of the folks I choose get in, voting is still what I will do. I don’t care if null manage to lock down all ten seats. I will vote next year, too. I don’t give up because there is opposition. I don’t give up when I lose. I am still here, still playing and still caring enough to write and speak and opinionate all to hell and back. My thanks to podcasters and streamers and other writers who do have an opinion, do still care and whom I will be reading, listening toi etc just to try to form or reconsider my choices. If you made it this far? Tell me if you have someone you are supporting and be in the draw for a battleship. No entry fee other than giving a damn opinion of your own. 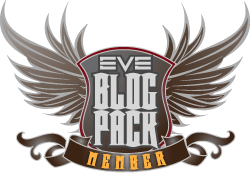 This entry was posted in Uncategorized and tagged CSM, Election, eve online, In character. Bookmark the permalink. I simply how you can say this latest CSM was good for Eve when they and CCP continued the impoverishment of high sec (checked low end min prices recently) for the benefit of the RMT leadership. It would be better to simply eliminate the whole charade of a CSM and save the money. Changes to Eve are decided on by the null sec cartel leaders and their lackeys/business partners within CCP, solely for the benefit of the RMT beneficiaries. They don’t need a CSM to do that. Ummm…no. CCP themselves said that the low end mins crash was due to Rorquals. Because the majority of high sec players (not just those that are alts) – statistically speaking – are probably not great users of the forums or the EVEmedia I find that every year has got harder to campaign. This year I have encountered (even compared to last year) a huge wall of negativity about the CSM. Thank heavens I have been able to link your posts, as an ex-Insider, to try giving people an insight into what it really is about. Lordy, I am being pointed to? No wonder three people read my blog the other day. The CSM is more visible when it is a dumpster fire. Not the best advertising for the institution as a whole. Feels odd to be voting for pirate orientated players. Been meaning to respond to BB80, But I prefer to avoid politics generally and its difficult to feel positive about the whole process. Null-Sec has received significant buffs in industry capacity. From two ore/mineral composition revamps, gains to refining and bonuses to research. All of which I must assume is rubber-stamped by a null-sec dominated CSM. Which occurs under the panacea of “risk vs reward”. Should this trend be allowed to continue, high-sec industry will be impoverished. There was a time when mining missions had better remuneration that actually mining in the belts. But this just produces isk and LP. Hmm, Still have good standing with Deep Core. When I am not in the belt to be shot at, not hauling between markets some expensive cargo and not undocking at a trade-hub with a wealth to be plundered. Where is your content going to come from? I have my backup plan, what’s yours?